Made for the active lifestyle, GameGuard's Men's Short was designed with maximum versatility in mind. 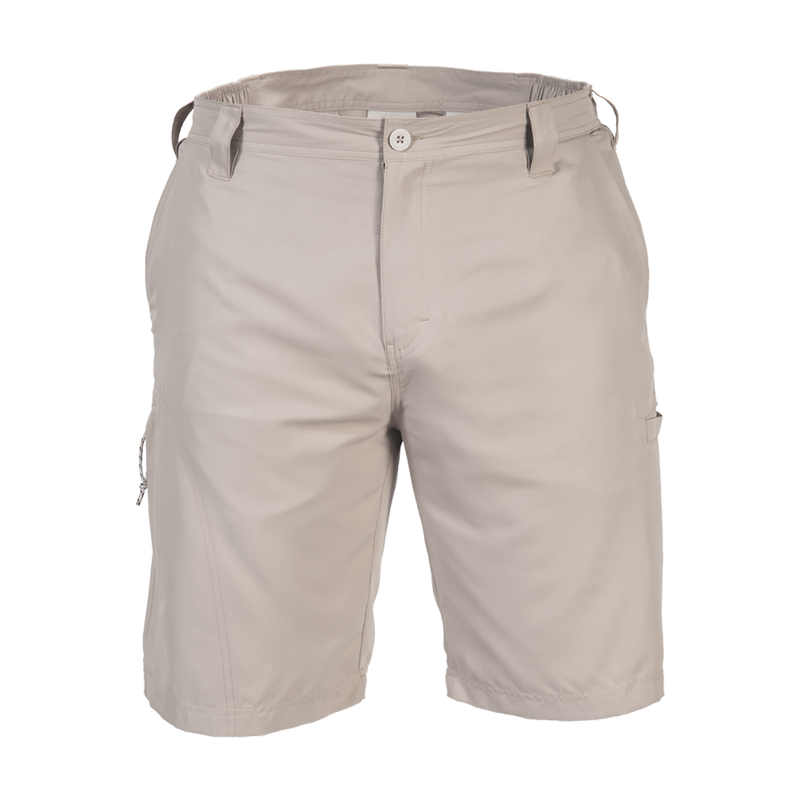 Remarkably tough and ultra light-weight, GameGuard's Short fabric was developed to deliver 4-way-stretch and UPF 30+ sun protection, while remaining exceptionally breathable, fast drying and wrinkle resistant. Double-stitched on all major seams with a side-elastic waistband for exceptional fit and comfort. All pockets include sewn eyelets to drain water, left-leg features a knife/plier pocket.